The Skoda Rapid boasts of an air-conditioning system which promises a fatigueless drive to the driver as well as the passengers. 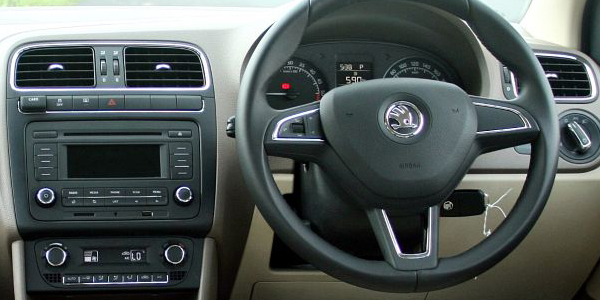 The factory fitted air-conditioner in the Skoda Rapid has rear AC vents as well. One of the principal competitors of the Skoda Rapid is the Toyota Etios which has factory fitted air-conditioner in select models. But the air-conditioning system in the Toyota Etios doesn’t have rear AC vents. The MarutiDzire on the other hand, has air-conditioner across all its models. However like the Toyota Etios, the air-conditioner doesn’t have rear AC vents. The Mahindra Verito, another sedan in the same price range has air-conditioner but without rear AC vents. A very common problem in the air-conditioning in the Skoda Rapid is that of foul odour. It is an indication that the car’s air-conditioning needs a thorough cleaning. Furthermore, before the onset of summer, the air-conditioner should be inspected by authorised Skoda service personnel at any of the service centres. 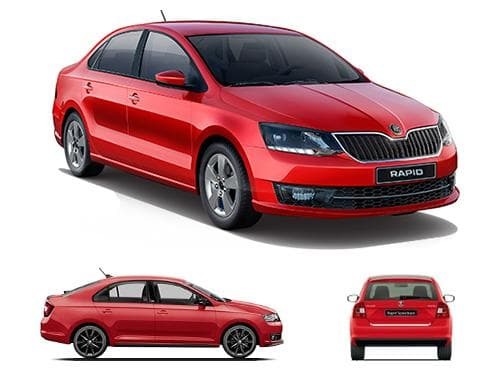 The variants of Skoda Rapid that offer air conditioner as standard include 1.5 TDI AT Edition X, 1.5 TDI CR Active, 1.5 TDI CR Ambition, 1.5 TDI CR Ambition AT, 1.5 TDI CR Style, 1.5 TDI CR Style AT, 1.5 TDI MT Edition X, 1.6 MPI AT Edition X, 1.6 MPI Active, 1.6 MPI Ambition, 1.6 MPI Ambition AT, 1.6 MPI MT Edition X, 1.6 MPI Style, 1.6 MPI Style AT, Monte Carlo Edition AT Diesel, Monte Carlo Edition AT Petrol, Monte Carlo Edition MT Diesel, Monte Carlo Edition MT Petrol, Onyx AT Diesel, Onyx AT Petrol, Onyx MT Diesel, Onyx MT Petrol.